I imagined a 3D paper structure being folded away or folded in, floating or standing on its own. The continuous shift can be recognized in the varying shades of white. As a photographic version appears in the midst, one may recognize and be well surprised by the eloquence of which the slight gradation conveys with the shadows from the paper. Beyond the boundaries of the yellow frame lies a monochromatic universe. Literally, yama-ori means to fold away or fold out while tani-ori is to fold in. 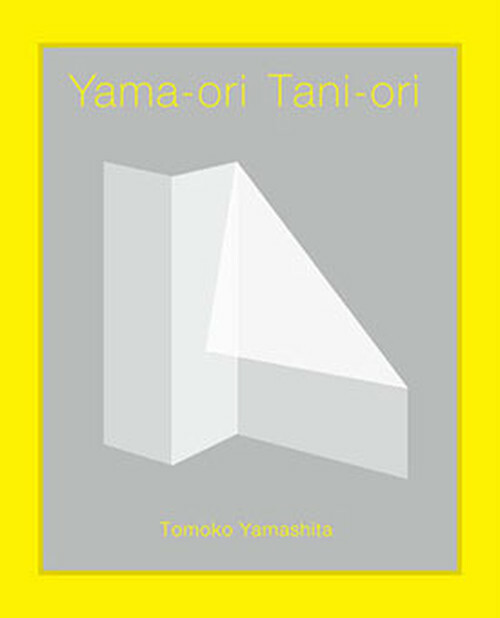 Individually, yama means mountain and tani means valley. Ori is to fold.